2904 Solimar Beach Drive has closed escrow for $3,752,500 in a private sale without coming on the market. Situated within the gated Solimar Beach Colony along the Rincon, 2904 Solimar Beach Drive is a redone approx. 1,300 sq.ft. 3 bedroom/2 bath cottage built in the 1930’s with 48′ of beach frontage. 2904 Solimar Beach Drive closed escrow in February 2019 for $3,752,500 in a private sale without coming on the market. 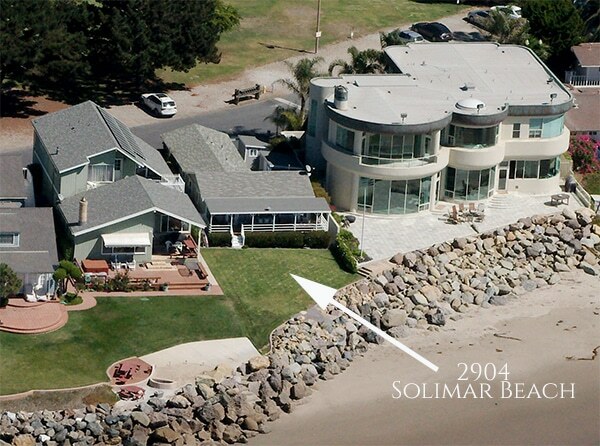 Prior to the redo, 2904 Solimar Beach Drive sold in May 2001 for $1,260,000.